يشكل Seachange Coolum Beach Hotel بموقعه الممتاز في صن شاين كوست نقطة انطلاق جيدة لاستكشاف هذه المدينة النابضة بالحياة. إن موقعه الجيد الذي يبعد 1 km فقط عن مركز المدينة يساعد النزلاء على الاستمتاع بمعالم المدينة ونشاطاتها. يشكل هذا الفندق ملاذاَ مريحاً للاسترخاء ويمنح زواره فرصة للاستجمام والتجدد، وهو يقع على بعد خطوات من المعالم السياحية الكثيرة للمدينة كمثل: Lions Park, شاطىء كولوم, Coolum Aquatic Complex. كما يقدم Seachange Coolum Beach Hotel الكثير من الخدمات لإغناء رحلتك في صن شاين كوست. يقدم هذا الفندق العديد من الخدمات الكفيلة بإرضاء أكثر الضيوف تطلباً. ادخل إلى واحدة من الغرف 35 وتخلص من عناء نهار طويل بمساعدة مجموعة كبيرة من الخدمات كمثل تلفزيون بشاشة مسطحة, غرف لغير المدخنين, مكيف هواء, تدفئة, مكتب الموجودة في بعض الغرف. يمكنك الاستمتاع بالأجواء المريحة التي تقدمها حوض استحمام ساخن, مسار جولف - ضمن 3 كم, حمام سباحة خارجي, سبا, مسبح (للأطفال) طوال النهار. 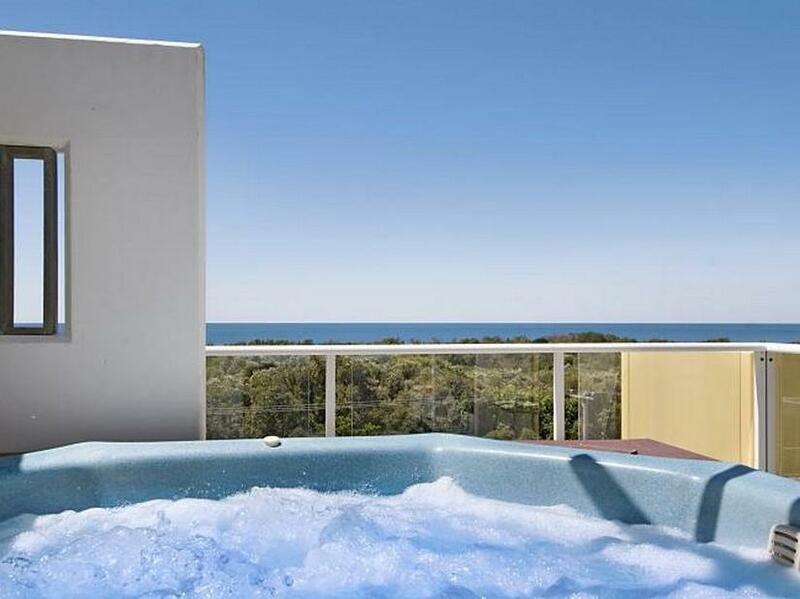 استمتع بخدمات لا يعلى عليها وعنوان ذو اعتبار في Seachange Coolum Beach Hotel . ساعات عمل مكتب الاستقبال من 9:00 صباحًا إلى 4:00 مساءً من الاثنين إلى السبت، ومن الساعة 9:00 صباحًا إلى 12 مساءً يوم الأحد. إذا كنت تتوقع الوصول خارج ساعات عمل مكتب الاستقبال سالفة الذكر، فيُرجى الاتصال بالفندق مباشرةً قبل يوم واحد على الأقل من معاد الوصول لمزيد من الإرشادات عن كيفية استلام المفاتيح. Plenty of space, wonderful pool, clean and modern, fuss-free, walk to the pub, we loved it here. Was not how it was offered! Offer 400AU$ with 54% rebat, much too much in price! No hairdryer, little space in toilet and shower, old furnished, rooms smelled! Dark rooms! Pool view? - ok, yes but behind the pool is a bussy street! I would not recommend this appartement (#20)!! Never again! Thanks for your feedback Markus. We're sorry you didn't like the room.We haven't had any complaints before. Thanks for letting us know about the hairdryer and we hope you were able to use it when we brought one up to you. Hi Keith, Thanks for your feedback. We clean and balance the rooftop spa's daily. You didn't book an apartment with a rooftop spa. The apartment you were staying in had a separate area away from the apartment which was not accessible to you as it was in the process of having the spa removed. The spa is now gone and offers a lovely rooftop area and ocean view. Hopefully you can celebrate another wedding anniversary here in years to come. Thanks Michelle we are pleased you enjoyed your stay and look forward to having you back in the future. Thanks for your feedback! We've recently had modems installed in every room. You can now BYO devices and stream at least 3 at a time :) We've also recently purchased new beds in some apartments. Thanks for staying! All the added extras in the rooms. Right next to the beach. And the pool was amazing. Clean apartments, wonderful pool area and friendly staff. Very pleasant stay. It could be improved with ore comfortable beds and pillows. Lovely new, clean kitchen, soft white linen on a very comfy bed and a lovely looking pool. Only there for a night to attend a music festival but wished we'd had longer to enjoy this place! 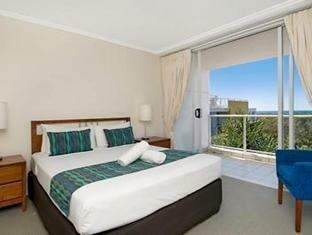 Beach across the road and an easy stroll to cafes for breakfast or dinner. The unit was very clean and well equipped. The kitchen was spotless and quite new. Huge balcony, lovely linen on the bed, bathroom small but newly refurbished and the shower was lovely after a swim in the surf. No time to use it, but the pool looked great. Will definitely book 2 nights here next time! There was 4 bags or rubbish, food everywhere, all the dishes they had used over the weekend left on the bench and a broken chair after this guest left. I am sorry but this is not the way you leave a room when vacating and we ensure guests are advised of the conditions when checking in and there is even a notice in the room. This was not a normal clean and cleaners spent double the time in this room, therefore the guest is charged. This is standard policy in most hotels. The hotel was nice and simple, although the room we had didn't feel very private, the balcony was in full view of most of the other rooms. 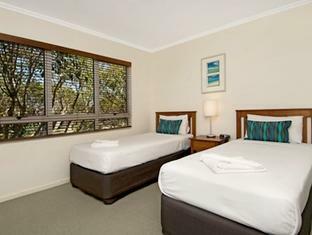 Other than the privacy issue, its a great place with all you need for a simplistic stay in Coolum. A 5 min walk across the road to the beach or into town was very handy. Great self-contained unit. 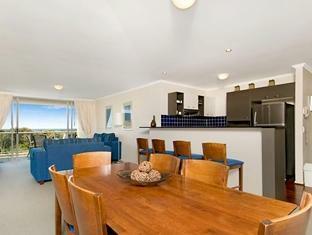 Would suit a family on a week's holiday with heaps of stuff just a short drive away. friendly staff, clean and modern ! What a beautiful resort , small and intimate , yet big enough that you are cramped ! The grounds were beautifully maintained and the pool was great !The room was immaculate and Kitchen well stocked. would def be back again . My only problem was i was led to beleive check out was 12 noon and this influenced when booking , however check out was 10am , so was dissapointed in that .